Sir Graham Henry discusses the importance of wise selection and creating a game plan to suit the players you have available. No room for idiots and no chance of success when playing a style of rugby that your players can’t play! 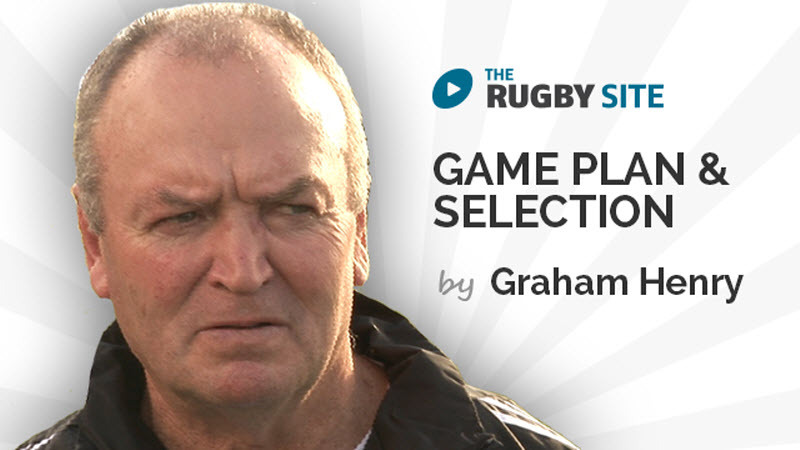 Sir Graham Henry details his way of determining a game plan suitable for your team. Remember not every team is the same and not every opposition is the same. So game plan's will vary. No video for part 3? Really good synopsis from the Grand Master or the Headmaster. Very very good, can Graham publish examples of traditional game plans please? Really informative and something I’ll be using this weekend when our boys play their first game. Also, had a little chuckle when there was mention of weak defending 10s. Loving the game plan part. Been waiting for quite a while. Would be great to see some more in depth sessions (ideas) on game planning. Thanks a lot ! Awesome! Selection is so vital to the success of the team. Be wise!